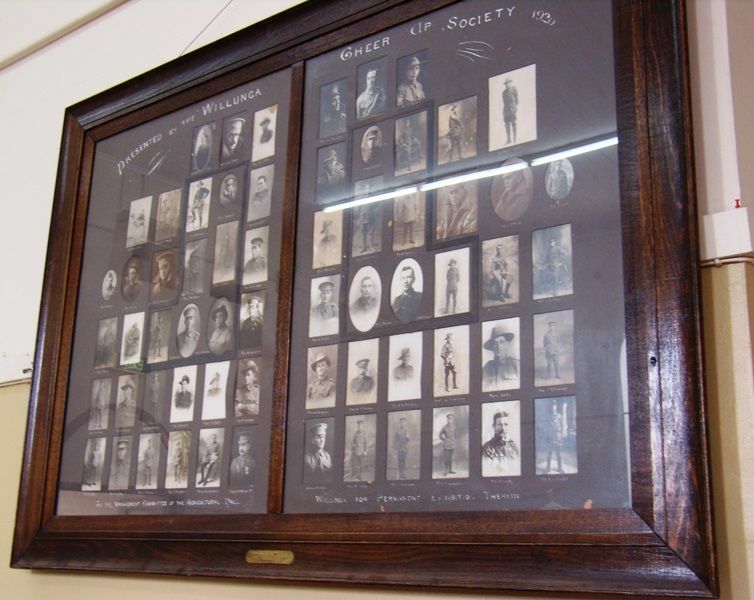 A photographic honour roll donated by the Cheer Up Society commemorates those who served in World War One. The South Australian Cheer-Up Society was founded by Alexandrina Seager. Its object was to support the soldiers in the First and Second World Wars as well as to bring them into contact with the 'highest type of womanhood'. During World War One they visited the soldiers at camp before they embarked for the trenches and provided them with supper, concerts and conversation. The society was publicly acknowledged as indicative of women's capacity, support and patriotism.